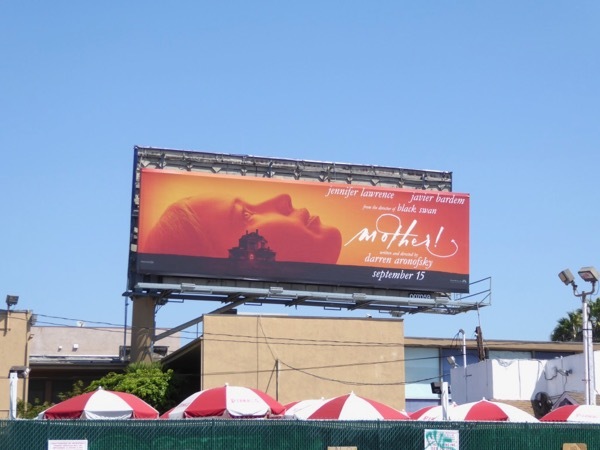 Even though the L.A. skyline is jam-packed with new season TV billboards this September, a movie ad creative really standing out at the moment are these billboards for Mother! 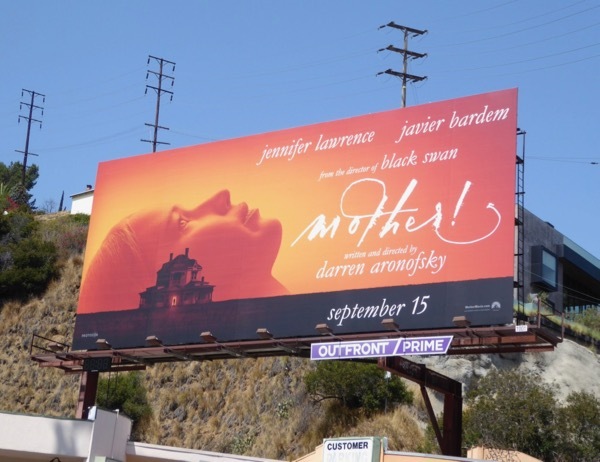 Shrouded in secrecy, Jennifer Lawrence and Javier Bardem star in Darren Aronofsky's latest twisty, trippy horror. 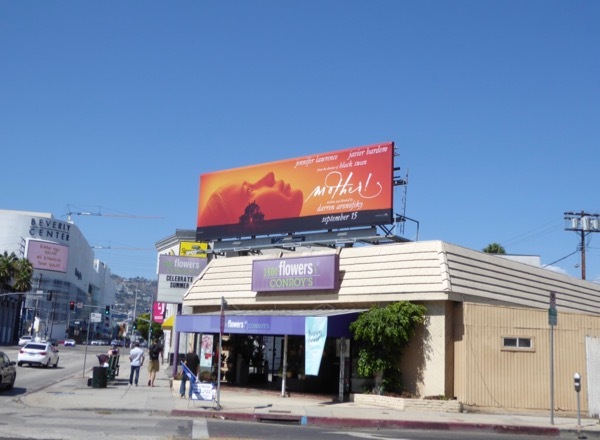 The second wife to a frustrated poet, she's renovating the couple's isolated rustic Victorian mansion when strangers come a-calling in the form of Ed Harris and Michelle Pfeiffer. She soon starts to question what's real and what's insanity in this psychological drama. 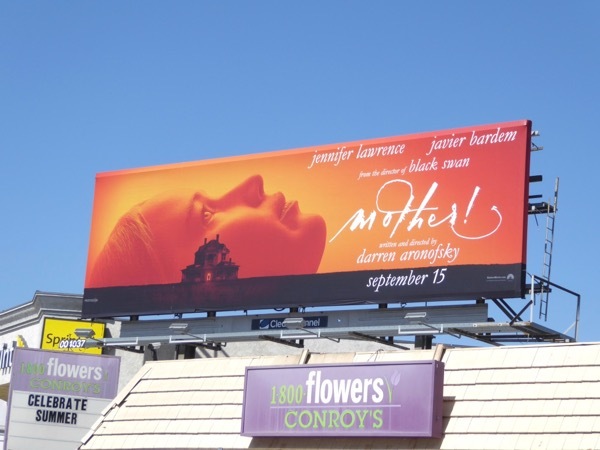 These striking billboards for Mother! 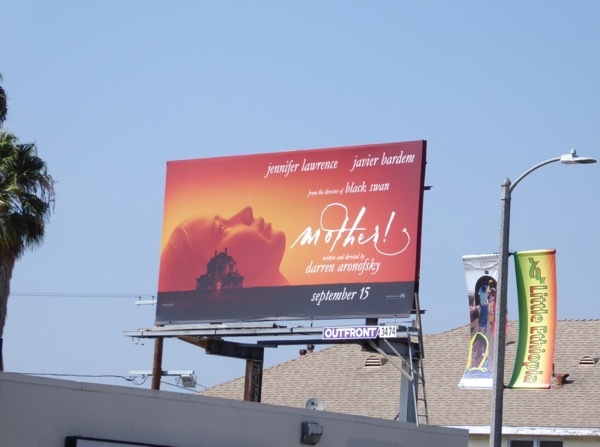 were photographed along the Sunset Strip, La Cienega Boulevard, Fairfax Avenue and La Brea Avenue from August 22 to August 27, 2017. 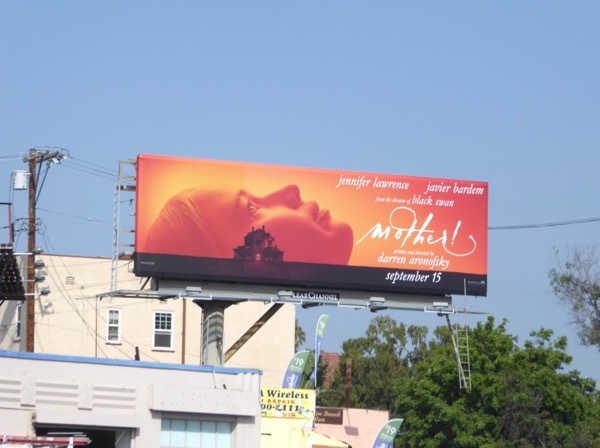 Jennifer Lawrence fans can also enjoy these Passengers movie billboards, these Joy movie billboards, these American Hustle movie billboards and these movie billboards for The Hunger Games. With killer clowns ruling at the box office last weekend, can this film grab the top spot with its own unique brand of horror.